Las Vegas home sales and prices rose last month while inventory climbed for the first time in 2017. The median sales price of previously owned single-family homes in Southern Nevada in June was $257,373. That’s up 2.9 percent from May and 9.5 percent from June 2016, according to a new report from the Greater Las Vegas Association of Realtors. Buyers picked up 3,584 single-family homes last month, up 1.9 percent from May and 10.3 percent from last June. Meanwhile, 5,174 such homes were listed without offers at June’s end, up 4.1 percent from May but down 27.1 percent year-over-year, according to the GLVAR. The trade group reports data from its listing service, which largely comprises previously owned homes. 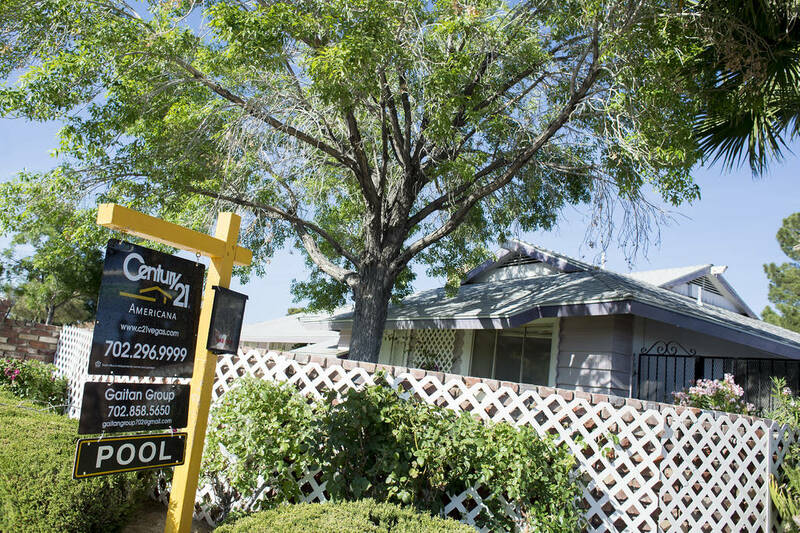 Single-family dwellings make up the bulk of Las Vegas’ market. The uptick in available houses breaks a months-long streak of sliding inventory. Factors that have pushed or held availability down include increased demand from buyers, a still-large tally of underwater borrowers who can’t easily sell, and a sizable number of rental homes that were acquired by investors after the market crashed and aren’t listed for sale. “We’re still dealing with a housing shortage, but at least our housing supply didn’t get any tighter last month,” GLVAR President David J. Tina, co-owner of Urban Nest Realty, said in a statement.